Above, Surin Pitsuwan speech at different Organizations promoting globalization [US-ASEAN business council monopolization to be exact] and Empire Asia pivot to pit Asians against each other. 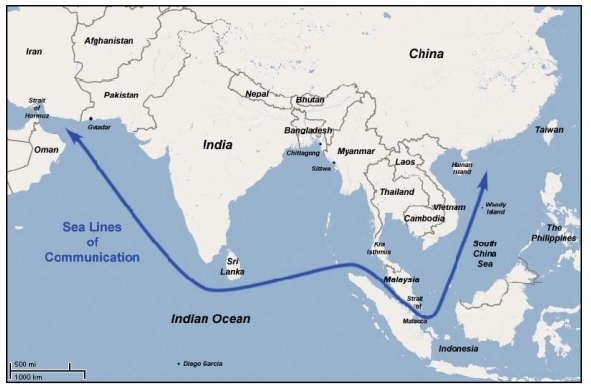 According to the Vatican-Rothschild-Royals funded British Empire, called International or global "community" many times by Surin Pitsuwan, the Association of Southeast Asian Nations (ASEAN) by 2015, the nations of Thailand, Brunei, Cambodia, Indonesia, Laos, Malaysia, Myanmar, the Philippines, Singapore and Vietnam will be integrated into a single market and manufacturing base of 600 million people. This is outlined in ASEAN's "Asian Economic Community Blueprint" published in 2008. If we are to stop the theft of our natural resources and recover our individual estates, we must unite. And to unite we must have a concise and common understanding of how we have been, are being and will be robbed and who has robbed and is still robbing us now and will rob us indefinitely. The last ASEAN secretary general, Surin Pitsuwan of Thailand, leads the efforts to implement the AEC 2015 blueprint. Pitsuwan sits as a Member of the Board of Trustees of the globalist Asian Foundation, funded by amongst many others, Boeing, Chevron, The Ford Foundation, the Bill and Melinda Gates Foundation, Halliburton, Raytheon Company, Wal-Mart Stores, Inc. He joined the Rockefeller Foundation's Board of Trustees in 2010. He also sat on the Council on Foreign Relations' (CFR) International Advisory Board as of 2009, and even gave a talk before the CFR on May 14, 2008, regarding a "one unified Southeast Asia." To say Surin Pitsuwan is a "classically trained" globalists is an understatement. However, despite his background and the stated intentions of the ASEAN AEC, progress has been admittedly slow, so slow that some in the Council on Foreign Relations are "skeptical that ASEAN will be quite so central to the future of East Asian regionalism." Surin is quoted in his CFR talk as saying in regards to establishing free-trade with blocs like the US and EU that "economies like Thailand, like Malaysia, like Indonesia, Philippines have found it very, very difficult to concede this [free trade], concede that because of the vested interest inside. And we cannot just ignore them because they have been the basis of our growth for the last 30, 40 years." 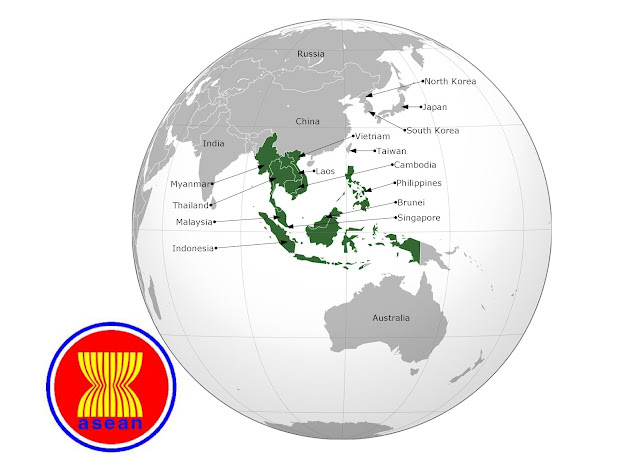 Despite the delicate balancing act Surin Pitsuwan appears to be performing between eager globalists and reluctant regional nationalistic power brokers, ASEAN itself is a means for globalists to integrate Asia into their greater one world government. It serves as a forum to institute standardizations and regulations that will cripple local industry and invite in foreign corporations to dominate and take over markets as limits on foreign equity holdings are relaxed. One such globalist corporation eager for the promises of ASEAN's AEC is Monsanto. Utilizing ASEAN's Food Security Conference, Monsanto and fellow biotechnology company, Chatham House Corporate Member, Syngenta called for regulations and the protection of intellectual property rights along with the introduction of their genetically modified, herbicide and insect resistant crops. But like ASEAN's stated goals for a unified Southeast Asia, Monsanto and Syngenta's goal of dominating big agricultural industry in the region has been slow and hampered by activism and nationalistic resistance. In 1999, Monsanto teamed up with Mechai Viravaidya's Population and Community Development Association (PDA), of Thailand to introduce biotechnology to Thailand's Northeastern farmers. Activities included handing out free buckets of Monsanto herbicides and pesticides and demonstrating land leveling technology. Local NGO's came out in protest as part of an ongoing effort to prevent Monsanto's goal of introducing and commercializing GMO crops in Thailand. The project was abandoned. One has to wonder why Monsanto, purveyor of controversial and potentially hazardous GMO crops would team up with the PDA, an organization that specializes in family planning and whose founder is not only credited with reducing the population growth of Thailand from 3.2% a year in the 1970s to 1.2% in the mid-'90s, to 0.7% now, but also received the 2007 Gates Award from the Bill and Melinda Gates Foundation. While Cambodia's "permanent" Prime Minster Hun Sen, has literally put his nation up for sale to foreign investors, 45% of which has been sold right out from under the Cambodian people, not all Southeast Asian nations are as eager to let foreigners in. Thailand currently restricts foreign equity holdings at 49%, has banned GM crops, and has powerful, deeply rooted families unwilling to open up Thailand's markets and compete with the West's mega-corporations. ASEAN's slow progress of convincing these holdouts to accept globalism and regional consolidation seems to have opened the door to more extreme measures by the globalists. Whether it is the International Crisis Group, stacked top to bottom with CFR members working in tandem with Chatham House major corporate member Amsterdam & Peroff to provide legal, lobbying, and propaganda support for globalist operative Thaksin Shinwatra and his mobs of Khmer Rouge-esque protesters to purge Thailand of its old moneyed families, or the mainstream media's dead silence on the atrocities taking place in Cambodia and Laos, or the US military's defense of training the very Cambodian and Lao army units that have been evicting people from their land after selling it to foreign investors - it seems that the globalists have decided the insidious and incremental creep will not work as smoothly as it did for the European Union. Lieutenant General Francis J. Wiercinski, Commanding General of U.S. Army, Pacific (USARPAC) became the first USARPAC CG since 1975 to visit the Lao P.D.R. on February 13, 2013, and met with senior officials from the Lao Ministry of Defense to discuss issues related to ongoing and future U.S -- Lao military cooperation. Southeast Asia will most likely labor through the next few years somewhere between the European Union' relatively smooth transition into a super-national state, and the Middle East's still bloody and uncertain push into regional consolidation. 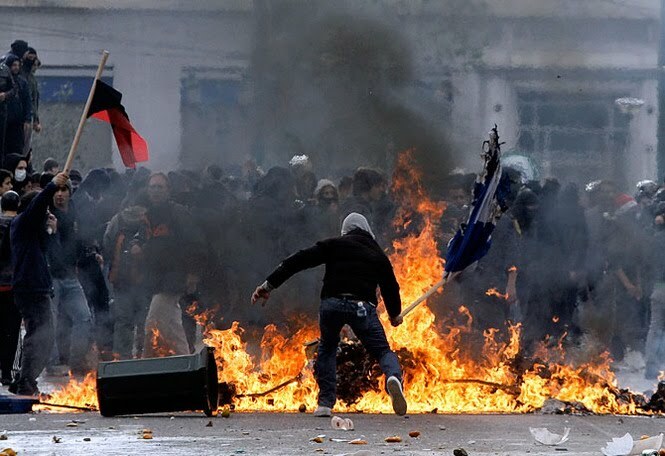 But if people can be made aware on a global level of what globalization really is, perhaps ASEAN's dragging of feet can spare it the failures and pitfalls the EU, UK and the US are suffering now because of their interdependency - interdependency which seems only to distribute the failures of the elite amongst the people, and consolidate the wealth of the people into elite's hands. Geopolitical shake ups, although less chaotic than the US-engineered "Arab Spring" have also recently unfolded in Southeast Asia. While US State Department trained and funded mobs cluttered the streets of Egypt and Tunisia, and terrorists rampaged through Libya and Syria, US State Department-funded opposition groups staged protests in Malaysia, Bangkok, Myanmar, Cambodia, Vietnam, .... US proxies, including Thailand's Thaksin Shinawatra and Myanmar's Aung San Suu Kyi have made political resurgences while the US' Anwar Ibrahim of Malaysia is positioning himself for upcoming elections with the US-funded Bersih street movement. The morbid machinations of Wall Street and London are driven by and for their collective corporate-financier interests. These are corporations, institutions, and services we use (globally) on a daily basis. For Americans and Asians alike, recognizing that our daily patronage of seemingly benign corporations like Unilever, Pepsi, and Coca-Cola is in fact the engine driving global conflict and wars of hegemony, is the best first step. Effectivelyboycotting and replacing them with local alternatives is the next step.